Hello hello! If you're a regular Emtalks reader you'll know that I'm obsessed with a glowy make up look, I think this look is deemed more summery but in my eyes, a glow is good all year round. Give me a dewy, fresh, I-just-stepped-inside-after-a-chilly-walk kinda look and I'm happy. If like me, you love glowy make up, you'll know doesn't have to end in Christmas. In fact, more and more beauty brands are bringing out beautiful Christmas products with all the glows. Today I've rounded up some of my favourite winter glow products. Warning: features exceptionally beautiful beauty treats for winter. See this as another Christmas gifting post because I assume you're going to add these to your christmas lists hehe. 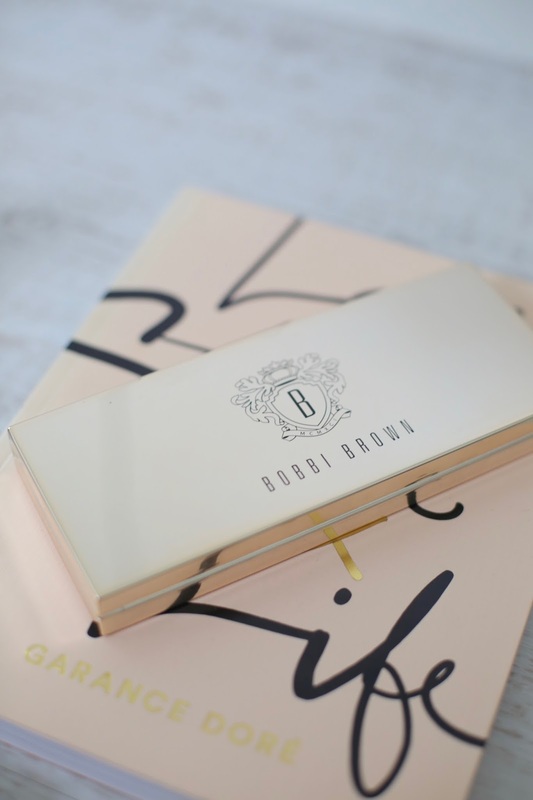 Bobbi Brown To Glow Highlight Palette - I've never seen such an incredible palette, yup, I said it. I declare Bobbi Brown's To Glow Highlight Palette one of the best this Christmas. Everything about this is just incredibly luxurious, from the outer packaging to the quality of the actual highlight product. This is described as the ultimate on the go glow, whilst I think it's quite big for on the go, it's definitely perfect for special trips because it has everything you need inside it. It features cult favourite limited edition highlighting power, a high impact nectar glow, pink gold and golden bronze shades. I've never seen such beautiful highlighters. I've said it before and I'll say it again, Bobbi Brown are absolutely killing it this year with their collections, top quality, beautiful products and I just can't get enough. Shop here. 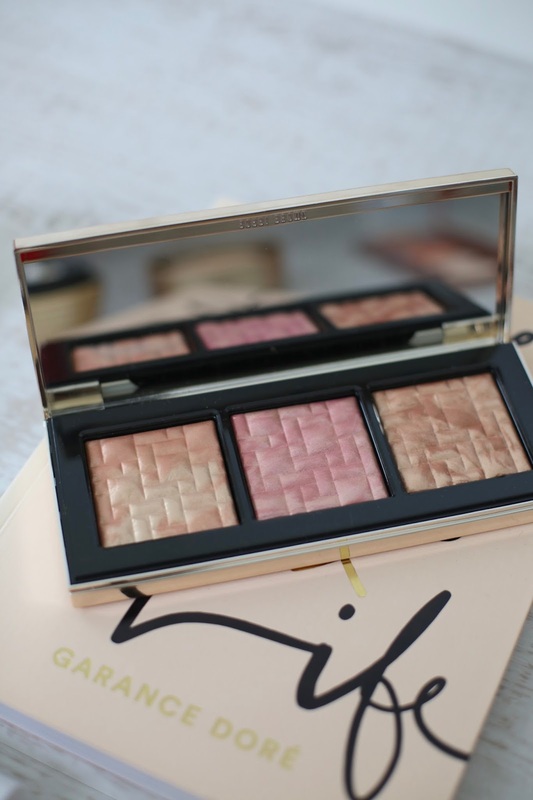 Guerlain - I can't write a blog post about glowy make up and not feature Guerlain. They're my summer heroes and apparently winter now too. I'll never forget walking into their Champs Elysee store and feeling like a princess buying my first ever Guerlain item. I've always been the girl who swooned over all things Guerlain at beauty counters because I am infatuated with the brand. For me, a Guerlain gift under the Christmas tree is so special. Their products are some of the best for creating a beautiful glow and that's why you'll see two on this blog post, firstly, Guerlain meteorites. The first product I ever bought from Guerlain was their meteorites and I've been in love ever since. I have to say, these are my favourite ones (not just because they smell like sweets) but also because they're golden so rather than giving me a colour correcting fix, they just make me look wide awake and dewy. The Gold Light warms up the complexion and brings radiance to my skin, with gold pearls to fight dullness and champagne and white pearls to reflect the light. Swirl them around for a little bit of radiance and you can make this as intense as you wish. Shop Guerlain meteorites. Guerlain Terracotta Gold Light - Next up, Guerlain's golden bronzer. 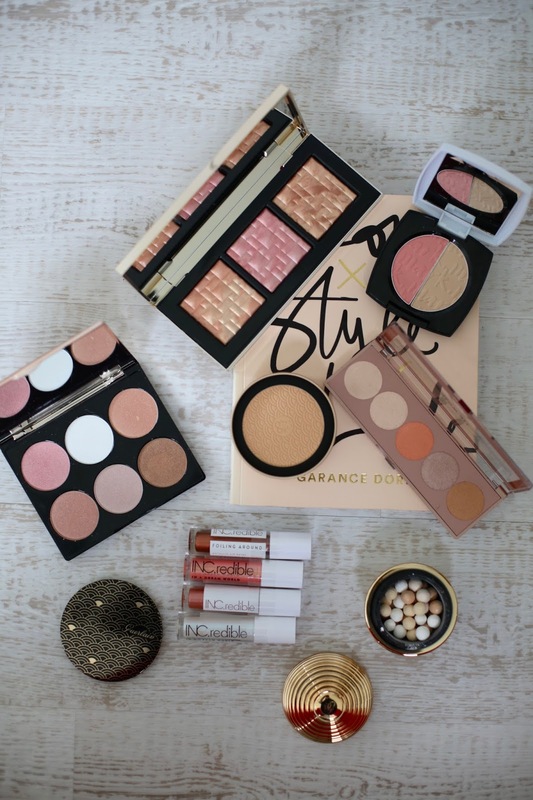 Not only is the packaging stunning but the product inside is incredibly golden which is the look I go for. Love her or hate her, Kim Kardashian has the most perfect make up, ever and this is great for a Kim Kardashian glow. I think this product is perfect for enhancing a tanned look throughout the colder months or, to use on the eyelids or body to make the legs and décolletage glow. They've basically made Guerlain's best-selling bronzing powder into a gold limited edition compact for Christmas. It contains mother-of-pearl hints of gold and then moisturising active ingredients of a sun kissed, lit-from-within glow. Shop online here. L'Oreal PARIS Glow Palette - L'Oreal's new glow palettes are the perfect handbag essential, tiny in size but big in pigment. Their 'merry metals' collection = a Christmas dream come true, not only because they're affordable and dinky, perfect for Christmas stockings but because they are top quality too. Their new range has blown me away as not only do all the products look beautiful, but the pigment is also incredible. These palettes are small but mighty and you can definitely multitask with them, fancy a glow on the eyelid, a sculpted cheek look? A five shade palette with metalic finishes, long-lasting colour and powdery texture. Yes please. It's a yes from me L'Oreal. Shop online here. The glowy lip look - There are so many choices for glowy lips this winter. If you read my best autumn beauty products blog post you'll know that I'm obsessed with an autumn lip, in winter, that doesn't change, still obsessed with matching my lips to the season. There are so many incredible foil/metallic lip glosses around at the moment so I couldn't not mention the ones above as they really add a nice glow/foil look to any winter make up look. My favourites include Nails Inc Lip Foils, easily some of the best I've ever worn on my lips as they're so pigmented and stay on all day. I think these win all the awards plus they're so affordable with the most stunning packaging. Next up, L'Oréal Lumiere lipgloss, for an out of space, galaxy themed irridescent unicorn glow, they give a gorgeous sparkle which is perfect for party season and are so moisturising too. Apply over a lipstick for a beautiful glow. There's also Rimmel Lip art, lip toppers for a customised look, to lock in some sparkle. I'd say these are beautiful glosses to apply over lipstick too, go hard and apply a lot for a winter lip glow. Both Smashbox and Ciate, always do amazing metallic lipsticks too, one coat over a lipstick and my lips look futuristic but glowy, it's a look I'm loving at the moment. The Ciate lip glitters are just epic for a super sparkly lip. Mark Dual Cheek Colour And Highlighter - Mark, a new brand owned by Avon has come along as the cool younger sibling of Avon. The whole idea behind it? Make your mark, I love the context behind this. It's a fun and positive brand with no rules. This highlighter is the perfect touch of glow to wake you up on winter mornings whilst the cheek colour will give you a radiant and 'flushed' look. The packaging is so lightweight and easy to take anywhere with you. Shop online here. Cover FX Perfect Highlighting Palette - Who doesn't love Cover FX? For me, they're the originals when it comes to glowy make up. I've featured their incredible glow drops (although Barry M do a really good dupe if you're after something more affordable) far too many times but today we're talking about their new powder set. Whether you're after an iridescent winter white glow (like a real life unicorn) or a bronzed look, this compact palette has it all. Featuring siz colours which can be used alone or together, layered and blended and can be used on the face and eyes. It's probably my favourite because the colours are just so incredible, you must go see this or put it straight on your Christmas list. So there we have it, a little look at some of my favourite winter glow products which may end up on your Christmas list hehe. I hope you liked this post. What are your favourite brands for glowy products? Have you used any of the above brands? What's on your Christmas list?